Smooth and creamy and slightly sweet Milk Chocolate Fudge is decadently rich and amazingly good. It’s also incredibly easy to make in the microwave or on the stove using just 2 ingredients. If you prefer lightly colored, rich and creamy, milk chocolate over the more robust flavored dark chocolate this Milk Chocolate Fudge is for you. This delicately flavored chocolate fudge is a favorite with kids who prefer things a little bit sweeter and slightly more mellow in flavor. I have to admit that it wasn’t that long ago that I preferred the lighter flavored chocolate too. It’s just recently that I have developed a taste for the more strongly flavored dark chocolate. I haven’t gone completely to the dark side, though. I prefer semi-sweet chocolate over bittersweet chocolate in most recipes and particularly in our Dark Chocolate Fudge Recipe. 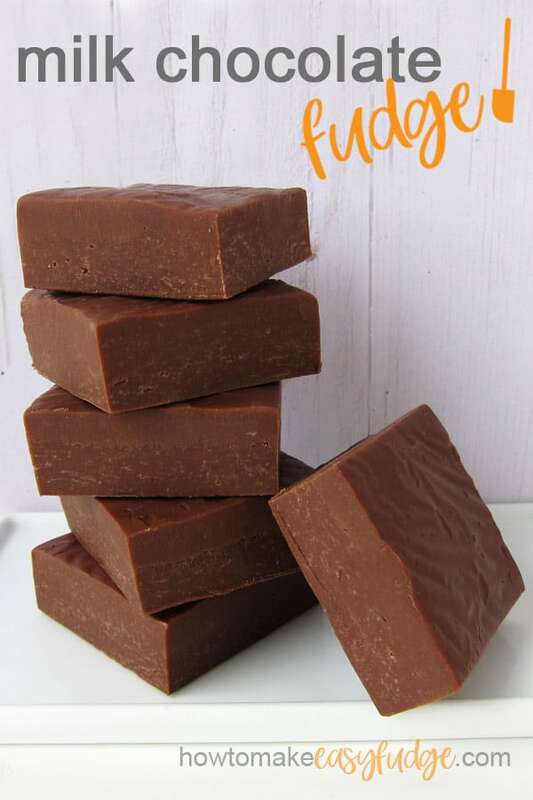 Just like that recipe, this easy fudge recipe uses just two ingredients: milk chocolate and sweetened condensed milk. 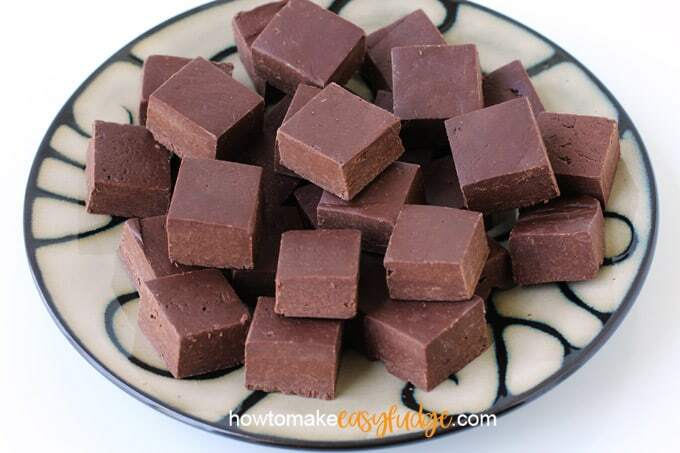 Before we get to the recipe, let me give you some details about making this easy fudge. 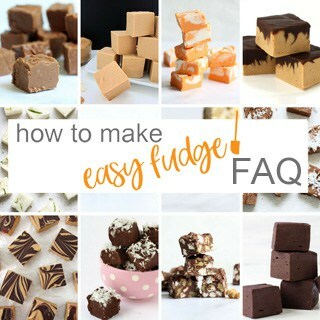 You can read our Easy Fudge Recipe FAQ page for detailed instructions on making homemade fudge. What kind of milk chocolate do I use to make this fudge? Pure milk chocolate will have cocoa butter and some form of milk listed in the ingredients. Milk Chocolate is sweet and creamy and has a mild chocolate flavor. I personally love using Peter’s Ultra Milk Chocolate. It has a lovely delicate chocolate flavor with slight caramel notes. Of the grocery store brands, I prefer Kroger Private Selection Milk Chocolate Chips but have also enjoyed making fudge using Hershey’s Milk Chocolate Chips and Ghirardelli Milk Chocolate Chips. You can find these milk chocolate bars, callets, and chips from amazon (commission earned for sales). What pan should I use when making this milk chocolate fudge? Should I grease, spray, or line my pan when making homemade milk chocolate fudge? 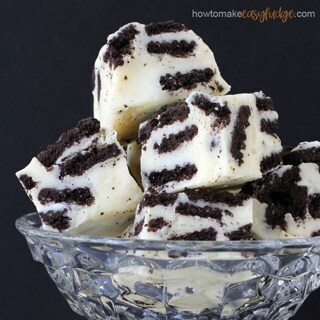 Can I use dark chocolate chips or white chocolate chips to make this fudge? 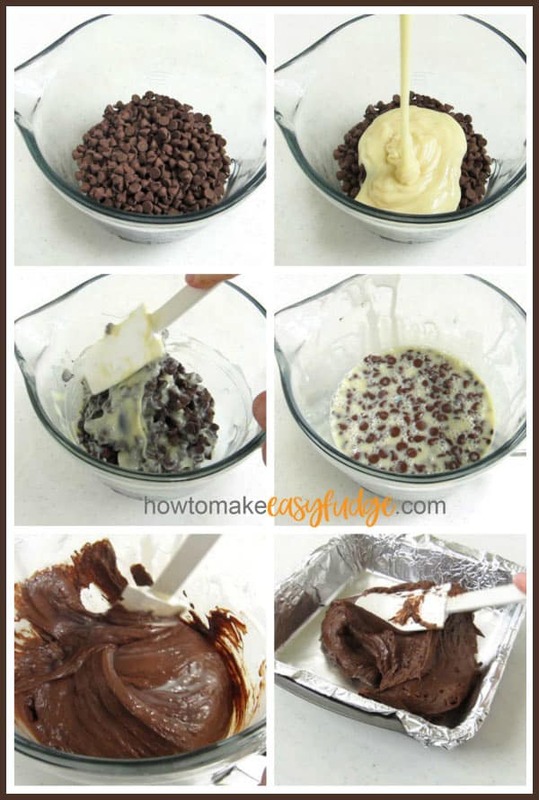 Yes, you can, but you will need to change the ratio of chocolate to sweetened condensed milk in order for your fudge to set up correctly. See the Dark Chocolate Fudge Recipe if you’d like to use dark chocolate and the Vanilla Fudge Recipe if you’d like to use white chocolate. What kind of milk can you use to make milk chocolate fudge? This recipe calls for one 14 ounce can of sweetened condensed milk. You can make your own homemade sweetened condensed milk or just buy cans at the grocery store. There are many brands of sweetened condensed milk and we have experimented with many national brands and store brands. Some brands are really thick, while others are a bit thinner. Either works fine in our easy fudge recipes. 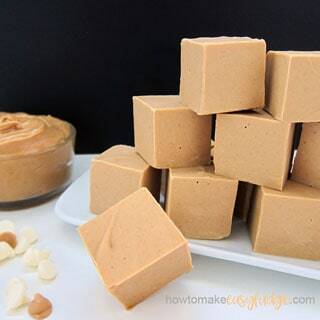 DO NOT use cans of Evaporated Milk for this fudge recipe. Evaporated milk is not sweetened and is not thickened with sugar. Some fudge recipes do use evaporated milk, but not this one! What can I mix in to my milk chocolate fudge? If you like nutty fudge, be sure to check out our Maple Walnut Fudge and Rocky Road Fudge. You might also like making our Caramel Fudge. 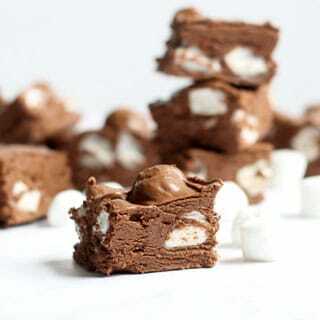 You can make marshmallow fudge using marshmallow fluff in the recipe too. 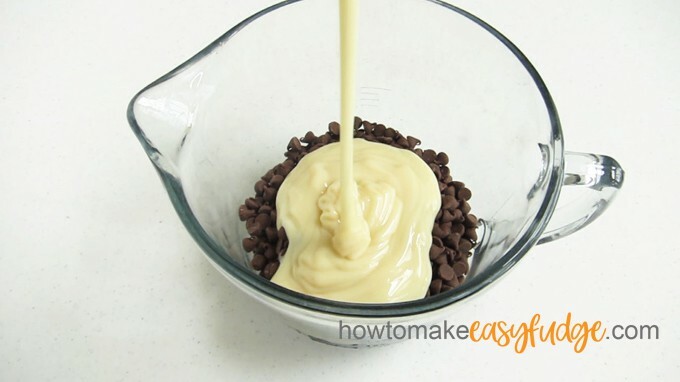 Blend milk chocolate chips with sweetened condensed milk together in a large microwave safe bowl. If all the chocolate does not melt, let the bowl sit for another 3 minutes then stir again. Only if needed, heat for another 15 seconds at 70% power and repeat the process above. Spread the thick fudge into a prepared pan, cover and chill for about 3 hours until the fudge is set. If you line your pan with non-stick tin foil the fudge will be super easy to remove from the pan. Just peel the foil off and cut the fudge into squares or rectangles. Stir the milk chocolate and sweetened condensed milk together in a saucepan. Heat over low heat, stirring often, until about 75% melted. Remove from heat and let sit for 3 minutes. Stir until all the chocolate melts. If needed, let the milk chocolate fudge rest, allowing the residual heat from the melted chocolate to melt any remaining chips or chunks. If all the chocolate still doesn’t melt, return the pan to low heat and heat for about another minute to warm the fudge. Pour into a prepared pan, cover, and chill until firm, about 3 hours. What other desserts can be made using milk chocolate? 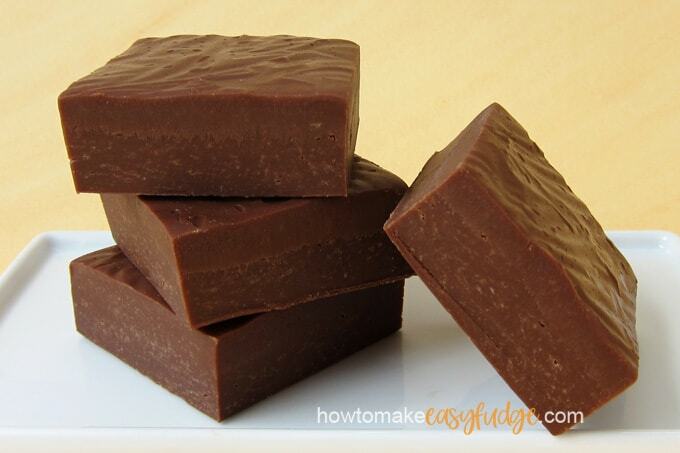 Watch this video to see how to make the best Milk Chocolate Fudge ever! I prefer milk chocolate over dark chocolate and have tried using other recipes swapping out milk chocolate for dark chocolate and the fudge was always too soft. Thanks for explaining why! This recipe worked great. I used really good quality milk chocolate and my milk chocolate fudge was incredibly creamy, not too soft, and not too firm, and not chalky or grainy. It was perfect! Thanks for such a great recipe!!! Hey, Lacy, I am so happy to hear that you enjoyed this milk chocolate fudge recipe so much. We worked hard to find just the right ratio of each type of chocolate to sweetened condensed milk for our recipes. Making fudge is easy but there are definitely some tips you need to know. I loved this fudge! I even bought a block of the Peter’s Ultra. OMG, that is the best milk chocolate I’ve ever tasted. Thanks for the tips too. They are so helpful. 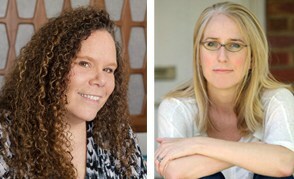 I am so happy to hear you got the Ultra chocolate and loved it. I hear all the time that it’s the most delicious chocolate ever!